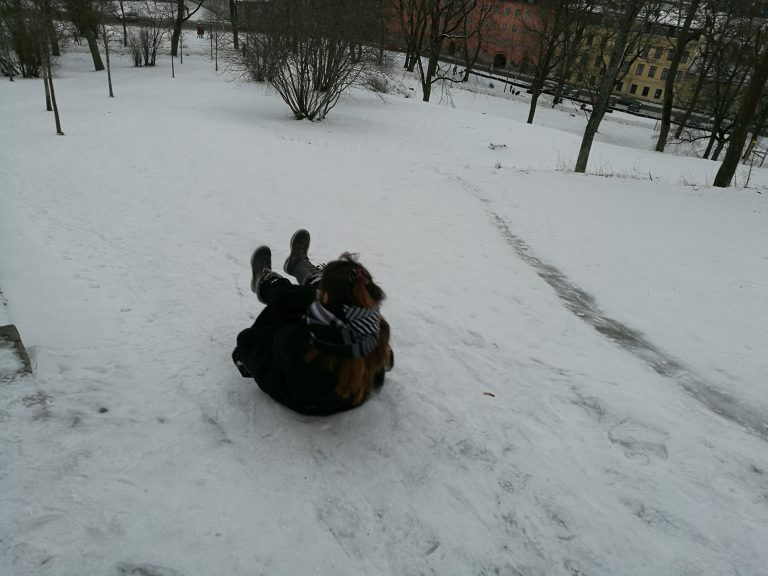 A few weeks ago, I spent 30 SEK in the best thing I could ever do: a stjärtlapp! But what in the world is a stjärtlapp? I t is a heart shaped, flat plastic seat with a handle, that is used for sliding in the snow – you could say that is the cheap version of a snow sledge. 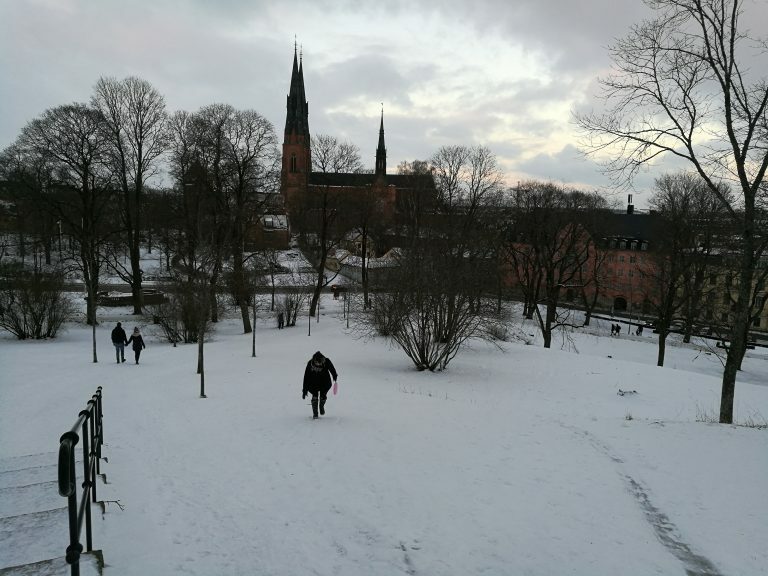 There are a couple of places where you can go sliding in Uppsala, however the place where I went to is just in the town centre, in Uppsala’s castle (Uppsala Slott). There is an area fully equipped for this kind of activity, with a barrier that prevents people to slide into the street, and also protection in stones and trees so people don’t get hurt. But isn’t this kind of thing just for kids? To be completely honest, it is mostly kids who use the stjärtlapp, and it is very likely that you will just see kids in the slopes. But don’t be dishearten! I’ve also seen a couple of adults engaging in the fun of sliding down a slope, feeling the cold wind in their faces, and getting copious amount of snow inside their pants and shoes. So if you have the opportunity, just pop into a Sportia store, buy a stjärtlapp, and have some fun, it is 100% recommended! 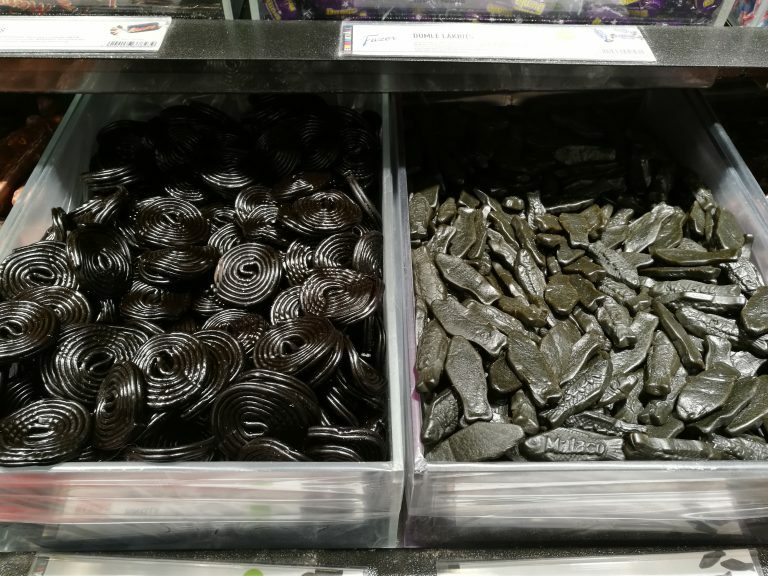 After living in Sweden for a while, I’ve come to notice that there is an ingrained passion for loose candy in every Swede. 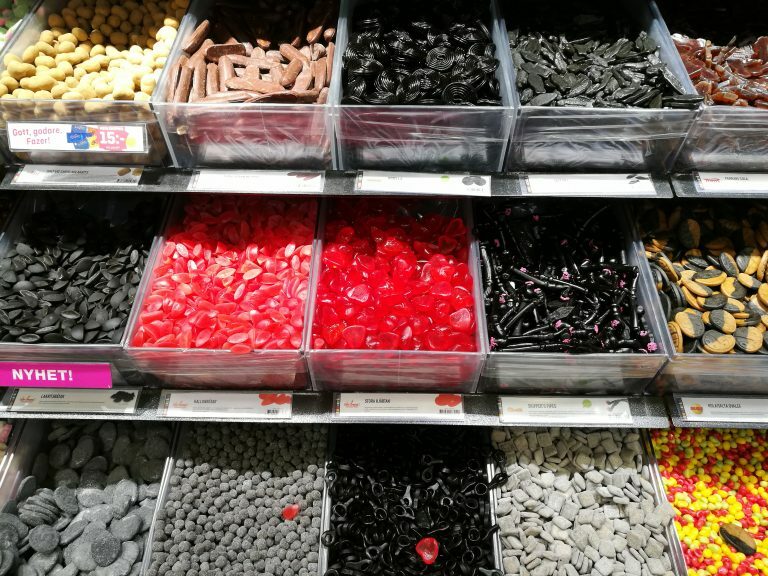 You can find loose candy practically in every supermarket, and I believe that I’ve never seen so many stores only dedicated to sell loose candy in my entire life! 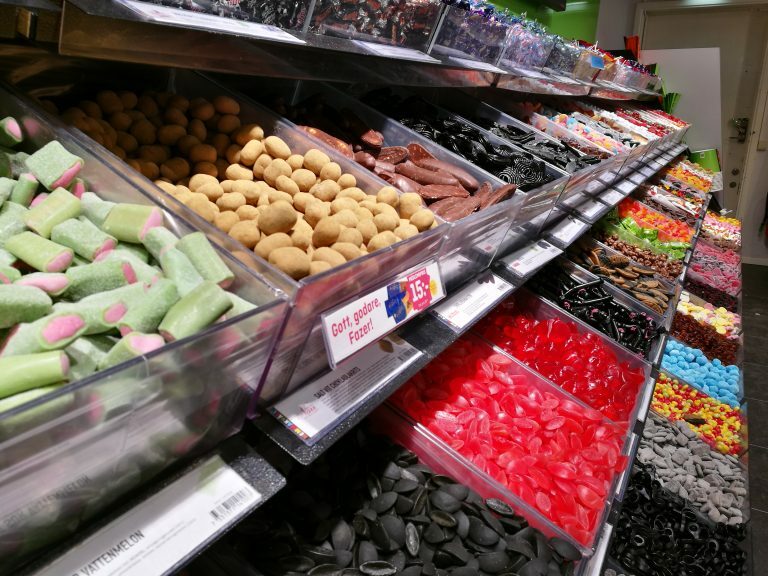 One of the most well-known, and largest chain of stores that sells lösgodis is called Hemmakväll. 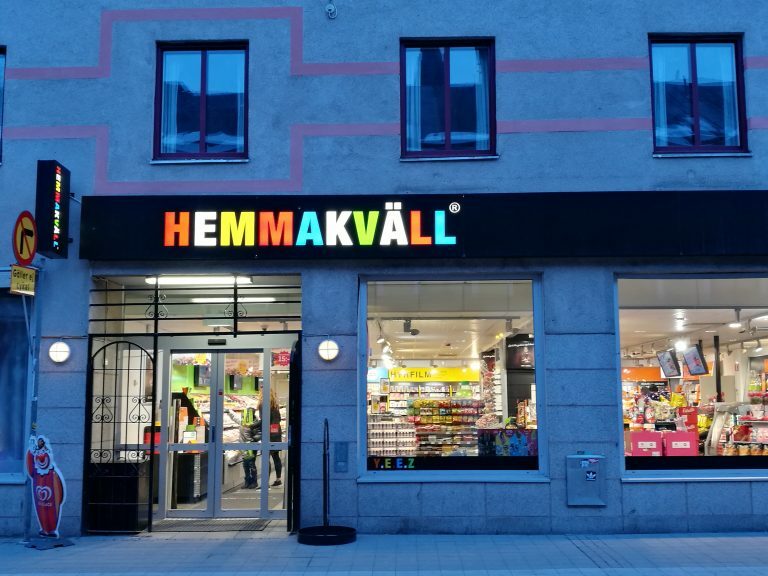 This store used to be mainly a video rental shop where you could also get some loose candy, however since the renting business has dropped dramatically in recent years, selling loose candy has become Hemmakväll’s most popular trade. Here are bring to you some colourful pictures of our last visit to Hemmakväll! Lately, riding my bike to SLU has become a difficult task because of the low temperatures and slippery roads. 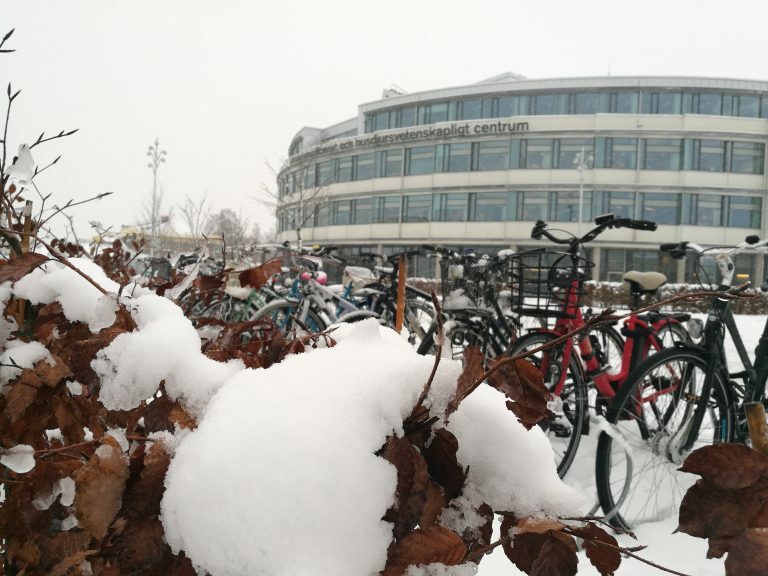 I salute all those students who can still ride their bikes in these conditions, but I’m a fairly new cyclist, so that’s why I decided to trade my two-wheeled friend for a warmer and more comfortable mean of transportation. One of the first things I learned about riding the bus in Uppsala, is that bus time tables are not very reliable. Sometimes you’ll find yourself waiting for over 15 min, or rushing to the bus stop because the bus arrived a few minutes earlier than it was supposed to. To avoid this, I recommend installing the UL app, so you get frequent updates on the buses’ timetables. 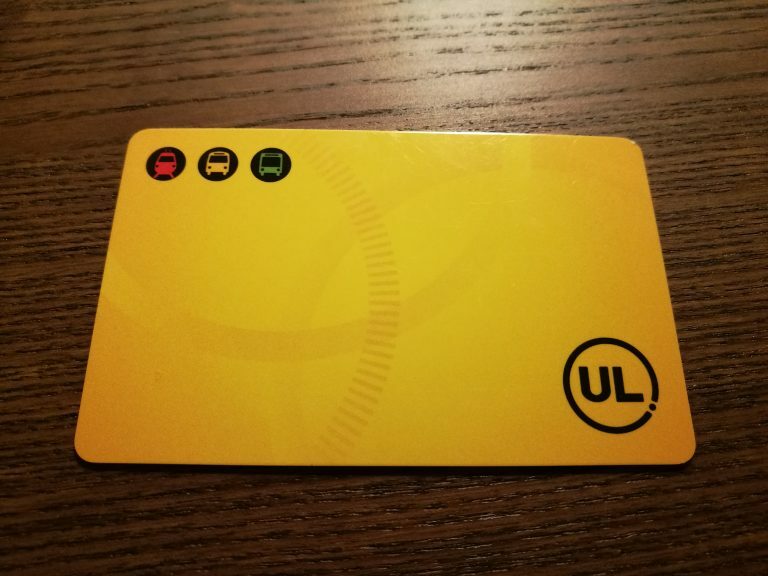 The UL app is useful not only for checking buses’ schedules, but also for planning trips, and buying tickets. You can even buy tickets for the local train or for the bus that takes you to Arlanda. 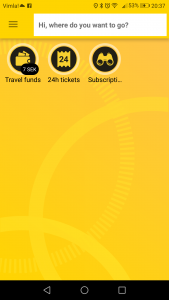 If you want to buy a ticket through this app, you first need to introduce your credit card’s information, and then load some money into it; when you purchase a ticket, the money will be discounted from your funds. Every local ticket costs 23 SEK and is valid for 75 minutes, which gives you time to hope into several buses with the same ticket if necessary. Purchasing tickets through the app method is really useful if you don’t use the bus that much, but if you are like me, that needs to use it every day, it’s better to get a monthly card. You can get this card at the central station, but I’ve found that getting it in any of the Pressbyrån convenience stores is much easier. For students with the mecenat card, the price for a monthly card goes around 570 SEK, but if you don’t have a student’s discount, the price goes around 840 SEK. Hope this post was somewhat useful and don’t forget to leave a comment. If you are interested in exercising, but you are not very fond of going of the gym like me, dancing is a really good option. Is great for reducing stress, improve your circulation, motor skills, health and the best part: it’s really fun! 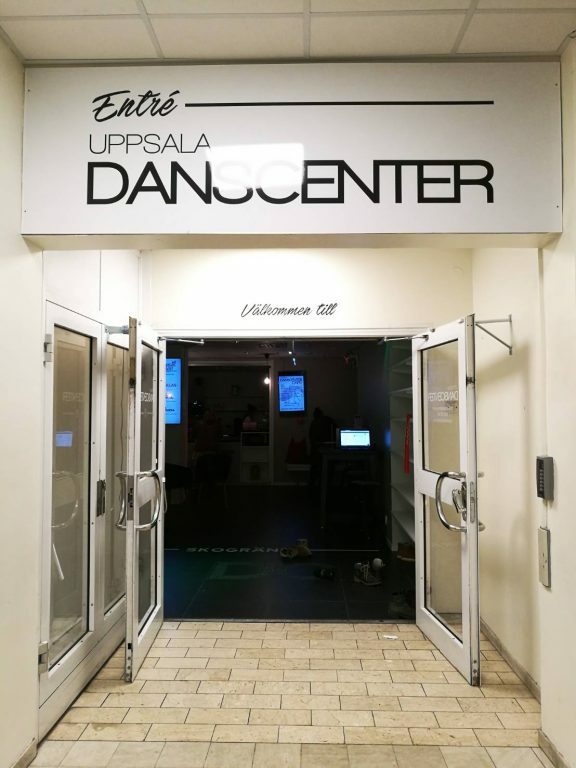 At the beginning of every year, several dance academies in Uppsala start promoting their open house events, where they invite everybody to have a taste of the different courses they offer. The best part of these events is that you can try as many classes you want, but without paying or even registering in advance. It is quite free, and it helps a lot when picking which class you want to attend for the rest of the semester. Today, since I had most of my evening free, I was finally able to go to the open house organized by the Uppsala Danscenter academy, one of the most popular in town. The experience was really nice, and the instructors were welcoming and professional. I got to try different dancing styles such as Bollywood, belly dance, reggaetton, and heels. I think making a decision on which course I want to take is going to be extremely difficult…I liked them all! 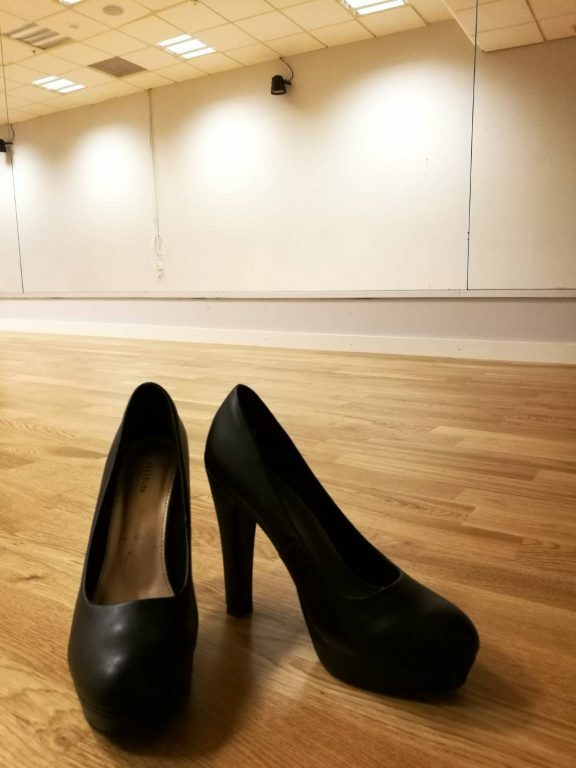 So, if you have a dancing history and want to continue, or if you just want to have some fun while exercising, and therefore you are planning on joining a dance academy in Uppsala, I would definitely recommend going to one of these events. Below, I’ll be leaving the links of the homepages of a couple of academies so you can check them out if you are interested. Don’t forget to leave a comment and have a nice day! A new year, and with it the start of a new course. 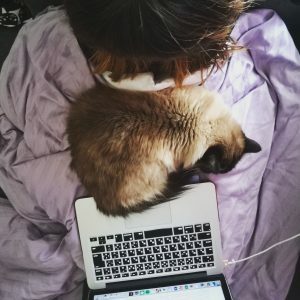 This time I will be studying bioinformatics, which is an interdisciplinary field that utilizes computer programming to analyze and interpret biological data, especially genomic data. The reason I selected this course, is because I thought it could be good for enriching and complimenting the knowledge that I acquired during the Genome Analysis course. I have to admit that the content of this course is very intimidating since I’ve never studied something similar to programming before, however I am very excited about learning something completely new, especially since it’s a subject that has become of extreme importance if you want to thrive as a scientist in the genetics field. So, wish me good luck! And I’ll be updating on this course and my experiences taking it in future blogs. As promised in the last post in this series, I come back with a quick update of the results of our final project for the Genome Analysis course. 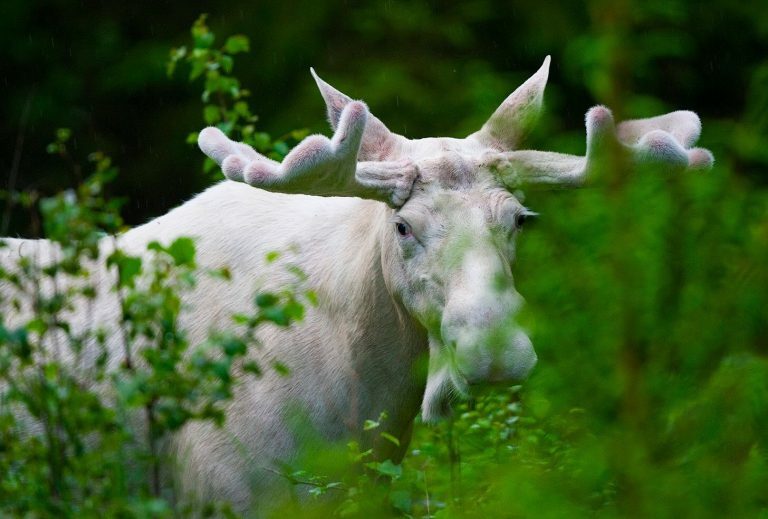 As I mentioned before, we tested the candidate genes MITF and ASIP with the hopes of finding a mutation that could be linked with the white coat phenotype in the Swedish white moose. Since the lab work, sequencing, and analysis of results takes some time, the workload was divided between the students. In my, and my teammate’s case, we worked with the first and second exon of the MITF gene. Unfortunately, both exons seemed to be highly conserved, and no mutation was detected. On the other hand, all the experiences and knowledge we obtained during this project are extremely valuable, and I believe that we couldn’t have had a better topic to work with. Note: Just in case you are interested, the primers we used were designed based on the white-tailed deer reference genome, and a BigDye kit and Sanger sequencer were used for the sequencing procedure. Please don’t forget to leave a comment and I wish you have a nice day! 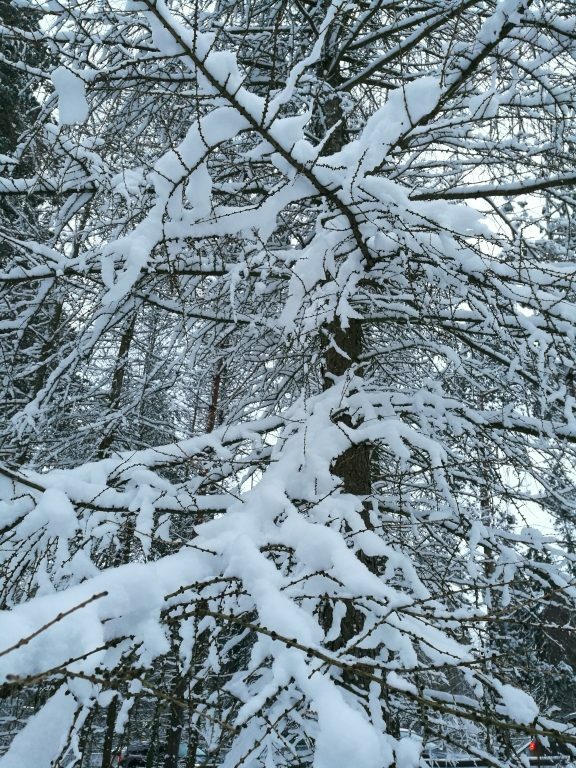 Winter can be cold, lifeless, dry, wet, and even unpleasant for some people, but it can also be extremely beautiful and magical, especially when everything gets covered by a soft layer of snow. 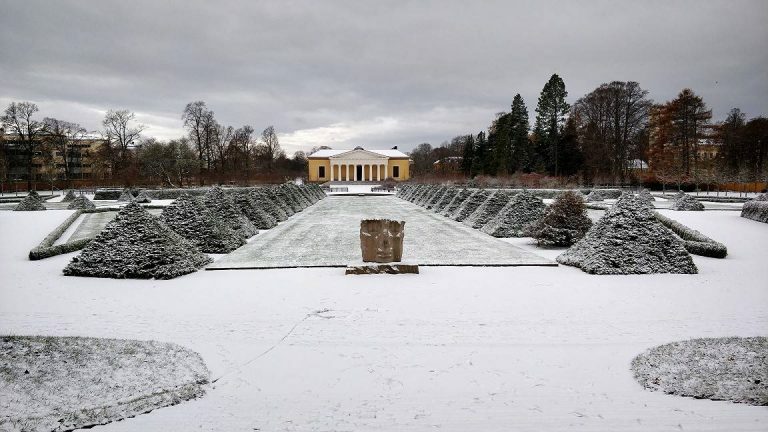 In this post, I wanted to share with you some of my favorite wintery sceneries in Uppsala. Enjoy! The final assignment we had for the Genome Analysis course was a home exam. Of course, because of the nature of this type of test —opportunity to look for information online, our textbook, and to consult with our classmates— the questions were a little bit more elaborated, and it was required for us to really understand the topics we saw during the course to give an answer with proper arguments. Just like during our first test, we were given a code that we needed to put on each page of the test instead of our name so the test would be completely anonymous for the person in charge of grading it. If I have to be completely sincere, the experience was nerve wrecking, but at the same time very interesting. I’ve been used to do in classroom tests my whole life, which means that most of the time I focused on learning definitions, techniques, formulas, theories, etc. But this change of approach was refreshing and above everything else, challenging. Also, I think it helped a lot to build some teamwork among classmates; cheering and helping each other to reach the same goal. Overall, I think this kind of exam was a nice way to test our knowledge and our capacity to come up with new solutions to problems. However, I wish we would have had more time for solving it. Having a test during the Christmas holidays is the worst thing ever, no concentration at all!! With this I say goodbye for now. Don’t forget to leave a comment and have a nice day! 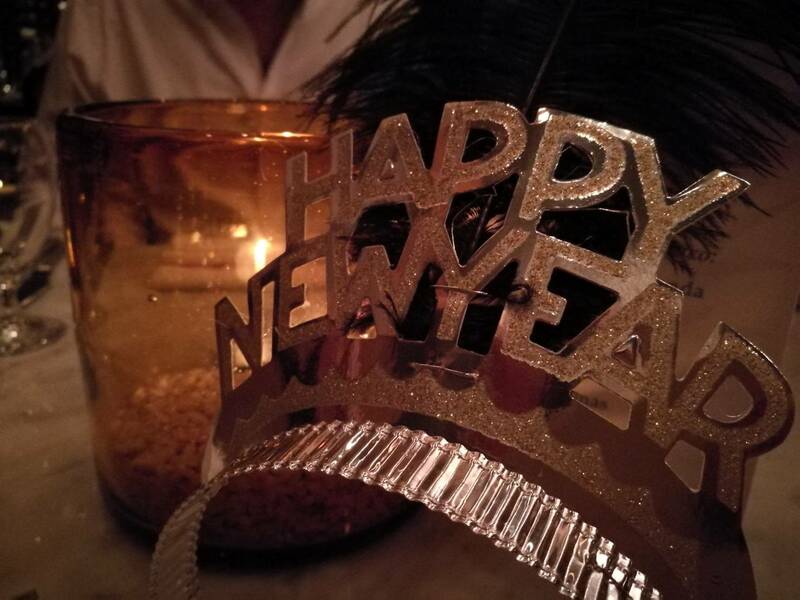 I wish this year becomes a wonderful year, full of good fortune and blessings for everybody. Also, good luck on fulfilling this year’s resolutions! –Although I am predicting that I’ll fail my usual “loose weight” resolution as always. But cutting down on the fika could be a start no? For this Christmas, my boyfriend and I decided to have a little escapade from the cold and to spend it with my family in Mexico! So unfortunately, that means no “Traditional Swedish Christmas” blog this year. But at the same time, this situation inspired me to make a list of the biggest differences between Swedish and Mexican Christmas. Hope you enjoy it! 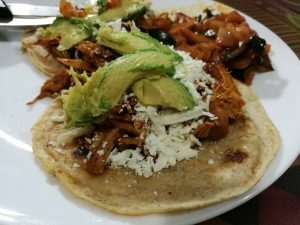 In Mexico, there is not fixed food tradition. Mexican families tend to keep it simple and have turkey or cod as main dish, accompanied by salad or other side dishes. If the family is really traditional, some dishes or drinks that will probably be served are tamales, mole, romeritos, atole, champurrado, ponche, buñuelos, apple and marshmallow salad (I know, it sounds really weird), among others. 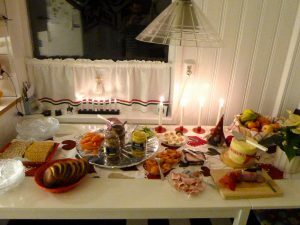 The word Julbord, which literally means Christmas table, is a must for every Swedish-style Christmas. It looks like a buffet composed of different kinds of Swedish dishes such as meatballs, pickled herring, salmon, different kinds of potato dishes, sausages, cheese, hard boiled eggs, Christmas ham, etc. Although the idea is to eat julbord with your family while celebrating Christmas Eve, many workplaces have julbord during the companies’ Christmas celebration, and even some restaurants offer julbord as a seasonal specialty. Julbord by Magnus D (CC by 2.0) and Panuchos, a Mexican dish that my family prepares every Christmas. Christmas, as any other party in Mexico, requires hours and hours of music. Banda, rancheras, pop, electronic, rock, the genre doesn’t matter, but the louder and happier the better! Also, dancing is a must, even if you are not the most graceful dancer. 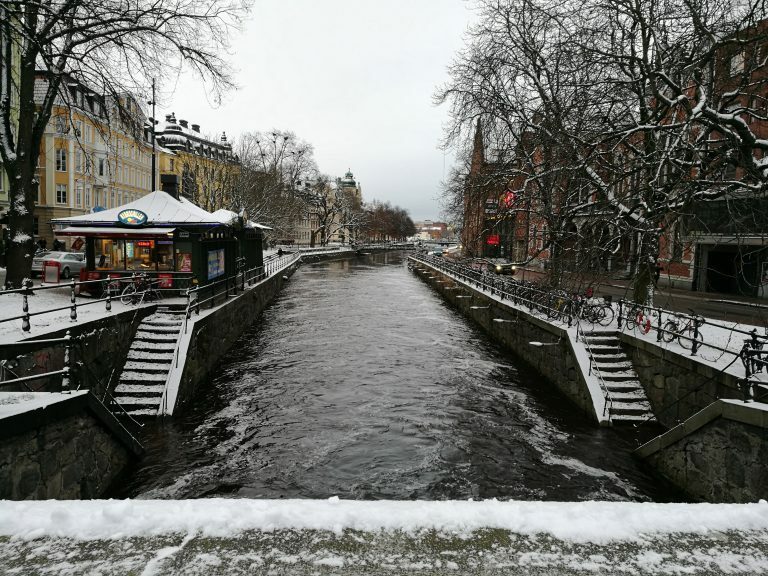 Unlike Mexicans, Swedes seem to enjoy a quieter type of Christmas. But that doesn’t mean that they don’t engage on singing and dancing! In a traditional Swedish home, at some point of the night, all family members will stand up and form a circle around the Christmas tree and start singing while moving in circles. 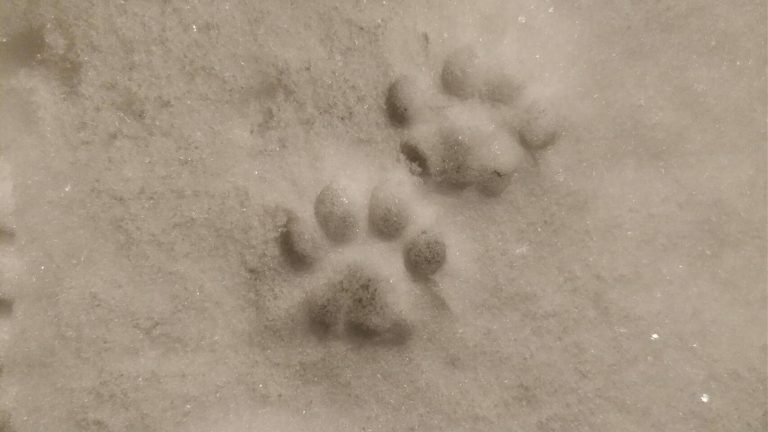 Some of the most famous Christmas songs are about a fox running across the ice, and about how funny small frogs are to look at. Piñatas are a common sight on several occasions: during birthdays, parties, and of course, Christmas. Christmas piñatas are usually a seven-pointed star, with each of the points corresponding to one of the seven deadly sins. So, when you break the piñata, it means that you are destroying evil. Fireworks, firecrackers and Bengal lights are also lit during the festivities. 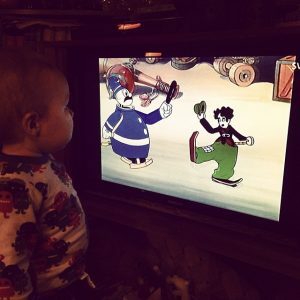 In Sweden: Donald duck, a Christmas favorite! Swedes don’t light fireworks during Christmas time –those are reserved for New Years—and they most certainly not get candy after hitting a star shaped piñata! On the other hand, people religiously watch Disney’s Christmas special, also known as Kalle Ankas Julafton (Donald duck’s Christmas). I wish you liked this post and I wish you a happy Christmas!